Four years after the beginning of the war in eastern Ukraine, the armed conflict remains in stalemate. 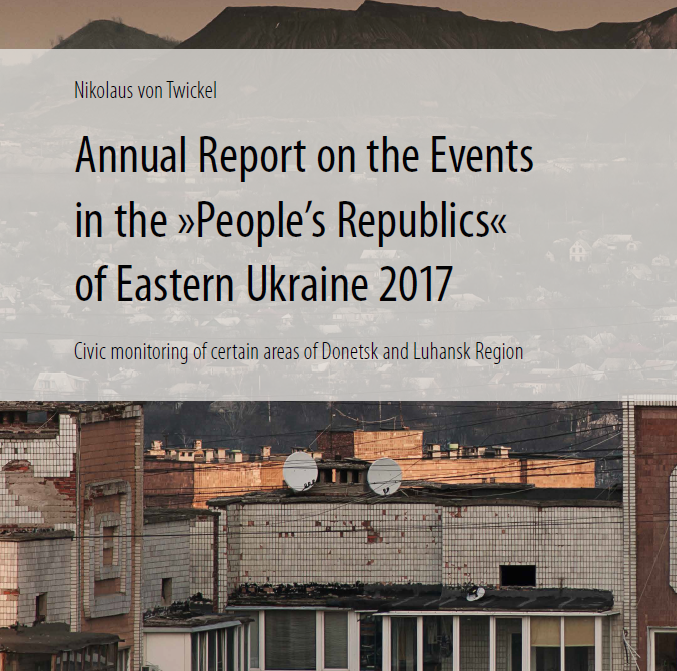 The terrible conditions for Ukrainians living in the conflict zone have not improved in 2017 and the political tensions that prevent a lasting diplomatic solution remain. Understanding the current situation requires an analysis of what is happening within the self-declared »people’s republics«, that remain largely inaccessible to independent journalists and observers. 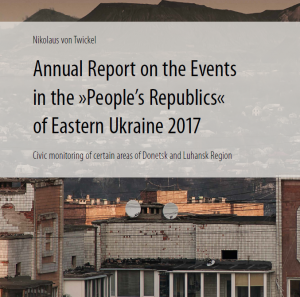 With the aim of contributing to greater transparency regarding the developments in eastern Ukraine, the project »Human Rights Monitoring in Eastern Ukraine« presents this new analysis, compiled by Nikolaus von Twickel.